Now that you've tried designing your own text element and adding it to your movie timeline, let's take a closer look at how some of these fun text editing features work. When opening the Text settings interface, you'll be greeted by three main text-editing options. Try adding and altering different combinations of text elements until you feel that you've gotten the hang of it. Practice makes perfect! 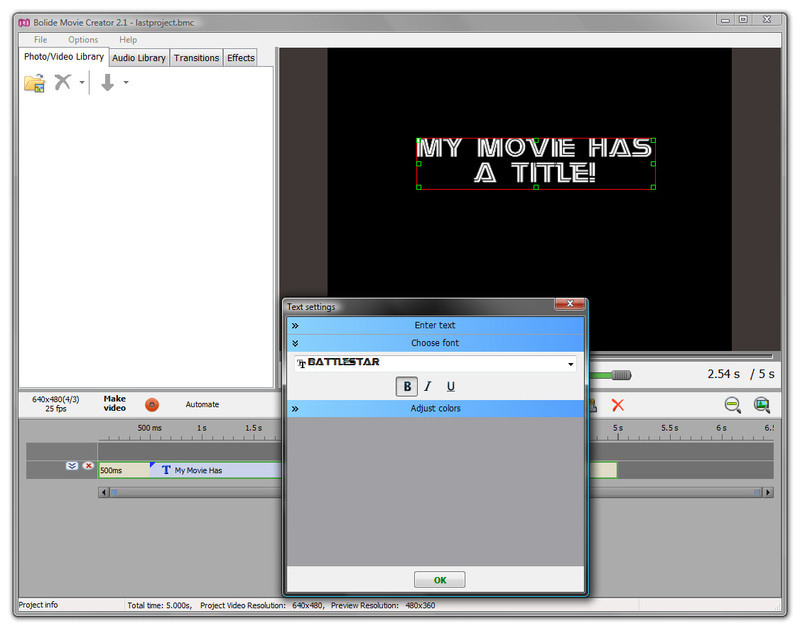 Enter Text lets you type out the text that you want your audience to see on screen. Simply type your text into the empty box and position it accordingly. Align left, center and right buttons are included to help make basic yet powerful text adjustments. Choose Font lets you pick from any font face that you have available on your hard drive. We've also included buttons that let you perform classic text editing moves; bold, italic and underline. 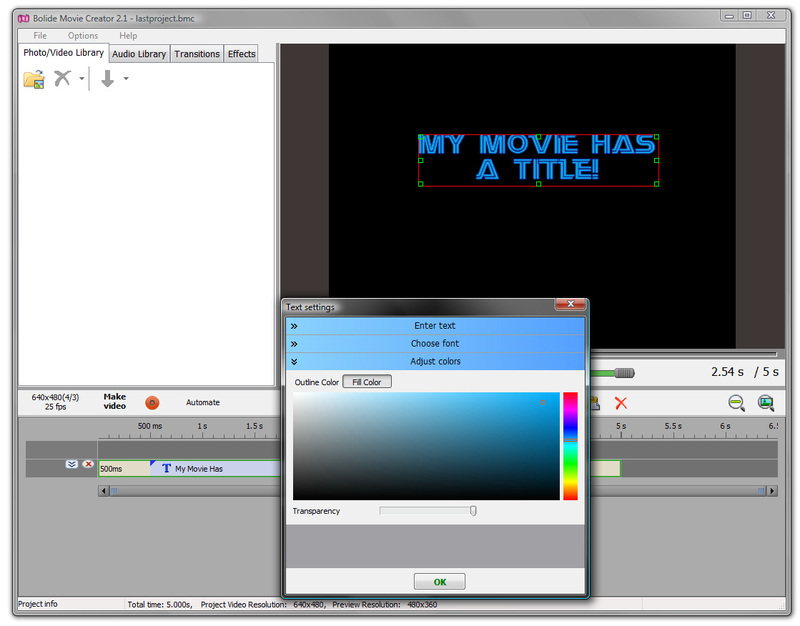 Adjust Colors lets you create outline colors and fill colors that help your text to really pop when viewed on screen. The transparency slider below the color selector lets you control the amount and strength of color that will appear associated with your text.